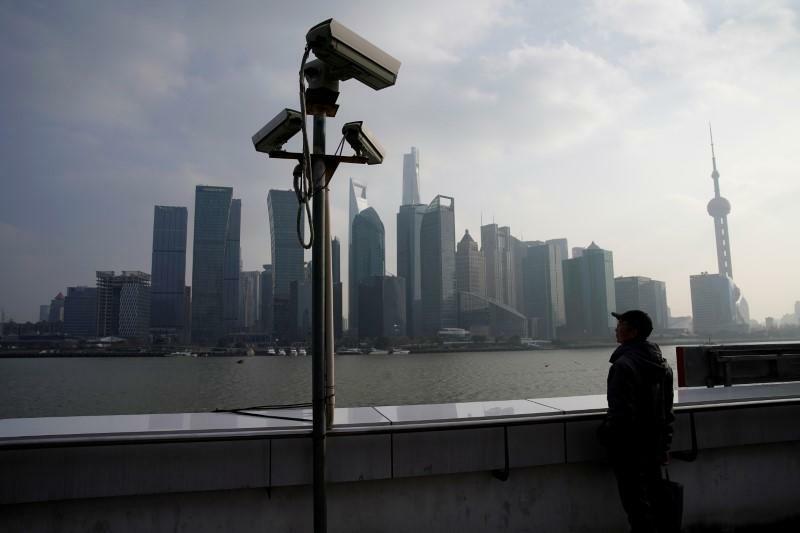 BEIJING (Reuters) - China's listed mid-tier and regional banks will face added pressure to curb risky activities following the formal establishment of Communist Party Committees at the lenders, bankers and analysts say. China's 40 listed banks have announced changes to their articles of association to add the committees, with 26 making announcements after the start of the year. Many specified that the organizations would be consulted before corporate strategy is agreed upon. While party committees have been set up across state-backed listed firms, their official establishment at banks comes as President Xi Jinping has targeted the industry and prioritised cutting financial risk. "Tighter party discipline doubtless will provide added teeth to the financial crackdown, increasing personal accountability of financial managers," said James Stent, a former external supervisor at China Everbright Bank <601818.SS> and independent director at China Minsheng Banking Corp <600016.SS>. In their proposals, many banks stipulated the creation of in-house discipline inspection committees - organizations responsible for overseeing the conduct and punishment of Communist Party members. Under Xi, China has been revitalising the party's role in Chinese institutions and society. China Construction Bank Corp's <601939.SS> <0939.HK> discipline inspection committee announced in April a campaign to root out corrupt credit practices, focussing on branch business operations, loan and risk management, and internal compliance. Xu Jia'ai, head of discipline inspection at China's central bank, this year warned that a "lack of strict party governance" had contributed to major risks in the financial system, including weak supervision and illegal fundraising. The China Banking and Insurance Regulatory Commission (CBIRC) is demanding that institutions take greater responsibility for loans, guarantees and investments. Last month, officials from the regulator admonished bankers at a meeting in Beijing to "steadily rectify market chaos" and clamp down on "illegal activities." Those violating the law would be met with "severe penalties," according to a notice on the regulator's website. "The message was clear," said one executive who attended the meeting. "Bankers will be held personally responsible." The regulator last month also launched a nationwide inspection of financial institutions, led by trust firms, to clean up the channelling of deposits into higher-yield, riskier investments. The CBIRC has begun ramping up punishments, handing out in December a $109 million penalty - its biggest ever - to China Guangfa Bank [GDDVB.UL] after a branch fabricated guarantees for 1 billion yuan in bonds that later went bust. Earlier this decade, mid-tier and regional banks were the lenders that most aggressively expanded their balance sheets via the shadow banking system to compete against bigger rivals. At Shengjing Bank Co <2066.HK>, whose assets more than doubled over the last three years to 1 trillion yuan ($151.62 billion), financial investments categorized as receivables – typically shadow loan products - represented more than 20 percent of the total at the end of last year. At Shanghai Pudong Development Bank Co <600000.SS>, which shrank its shadow loan book by about one-third last year, loan-like credit assets still amounted to 581.7 billion yuan at the end of 2017. Analysts have warned those institutions could bear the brunt of any crackdown by party committees as the government rolls out new measures to raise risk management standards. At China Zheshang Bank <2016.HK>, a Hangzhou-based regional lender which also saw its total assets more than double between 2014 and 2017, the Party committee will not only "strengthen its leadership and supervision" in the selection and discipline of personnel, but also participate in bank strategy. "The Bank should listen to the opinions of the Zheshang Bank Party Committee before discussing and deciding on major issues," the bank's amended articles of association stated, according to a May filing with the Hong Kong Stock Exchange. The formalisation of the party committees has split investors and governance experts. While few welcome the Communist Party's tightening grip, some argue that bringing their workings into the light will make companies more transparent. But others fear a further loss of investor influence, said Fraser Howie, an independent China market analyst and author. "The Party is outside shareholder control," Howie said. "To the extent the Party is exercising control of what a listed company is doing, to that extent shareholders are having their rights diluted or usurped."